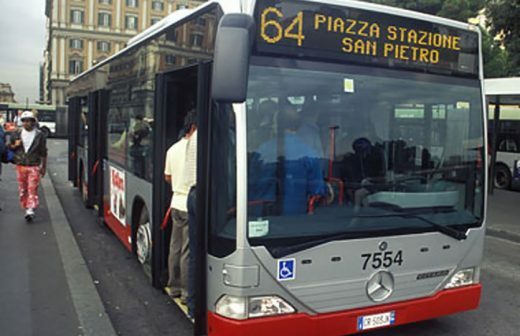 Riding Rome buses, particularly the 64, comes with a steep learning curve. ’m teaching Italian at the University of Florida this fall. The course is called Beginning Italian II, which was my own first formal training of Italian. I placed out of first semester because I’d spent a year off from college in Rome and had a basic grasp of the language. I had gone to Rome to teach English to refugees at a non-profit run by an Italian-American Jesuit. The classroom was on Vicolo delle Grotte, a tiny street off Campo dei Fiori. Last time I was there two years ago, I saw that the space the nonprofit had once occupied was now a gym. But the street is the same beautiful sliver of light it was two decades ago. The room itself was in a basement, so dank and musty it seemed like a cave. The acoustics were terrible, and since I’m soft-spoken, teaching was tough. The only common language I had with my students was pidgin Italian, since they were from all over, namely Burundi, Sudan, Eritrea, Ethiopia, Bosnia and Albania. I recently found the notebooks filled with phrases I once struggled to understand: buon giorno and buona sera; the grand confusion of c’è and ci sono, and my favorite, ci vediamo. After class, we’d make our way to the Stardust Café in Trastevere. Strong Caffè Americano and shared cigarettes elicited dramatic stories of survival. There was my peer Nepos, the tall, lanky boy from Burundi, a Tutsi who’d lost his entire family to war and came to Rome with only the clothes on his back. Zach, a young Ethiopian journalist threatened by the government for his writings. Similar story with Abdelazim, a Sudanese journalist jailed for his words. He’d escaped to Italy as a stowaway on a ship. Their lives in Italy were difficult. Most awaited refugee status, which left them in perpetual legal limbo. They lived off of Catholic charities and menial street jobs like selling soft drinks and trinkets on the beach. Their apartments were crowded; they each had a cot and a few items from home. Despite their dire circumstances, they were neither ashamed nor bitter. They welcomed me like an honorary guest, an ambassador of hope with a good ear and a curious heart, and an apprized mother tongue. They wanted to move again, this time to an English-speaking country. They made me hot, sweet tea, and broke open fresh rosetta from the market, which they spread thick with halvah. For my 20th birthday, they took me to an African restaurant near Termini Station with bright yellow walls and zebra prints. Migrants to Italy have long faced hard times in Rome, but all the more so now, with a hostile government keen to deport. They also introduced me to Rome, pulling me into bars for quick shots of espresso throughout the day. They taught me how to avoid pickpockets on bus 64, always packed, and laughed at my perpetual linguistic foibles. At dusk, we sat under the ominous-looking statue of the heretic Giordano Bruno, joining the cacophony of lively conversation around us. Last summer, I found the notebooks I used to interview them, which also contain my first efforts at learning Italian: buon giorno and buona sera; the grand confusion of c’è and ci sono, and my favorite, ci vediamo. 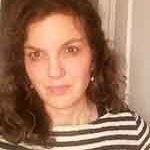 I strained to understand them, but the desire to know their stories motivated me to speak the language that connected us. I realized then that just as Italian was in my ear before my mind, I picked it up first through story, then study. Back at college, I learned proper Italian, determined to become a journalist in Rome. Two weeks after graduation, I was back in in the city, once again in search of stories. Many I wrote were about migrants: an Albanian poet, a Nigerian city council member, a Somali women, and girls trafficked from Moldova. 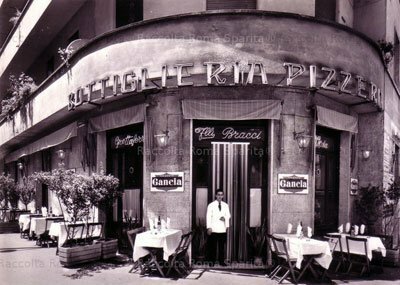 Eventually, I moved to Piazza Vittorio, Rome’s immigrant neighborhood, where I had once gone as a 19-year-old with my refugee friends. I reveled in hearing Arabic and Mandarin, and I became a regular at a nearby Lebanese restaurant. I turned an old sewing machine into a desk, and wrote late into the night. I felt at home. Even now, when I visit Rome, Piazza Vittorio has a familiar pull, even if the neighborhood seems more run down. All I have to do is turn left at Termini Station, towards the Santa Maria Maggiore Basilica, and I feel a piece of myself become whole, as if I’m coming into my own light.